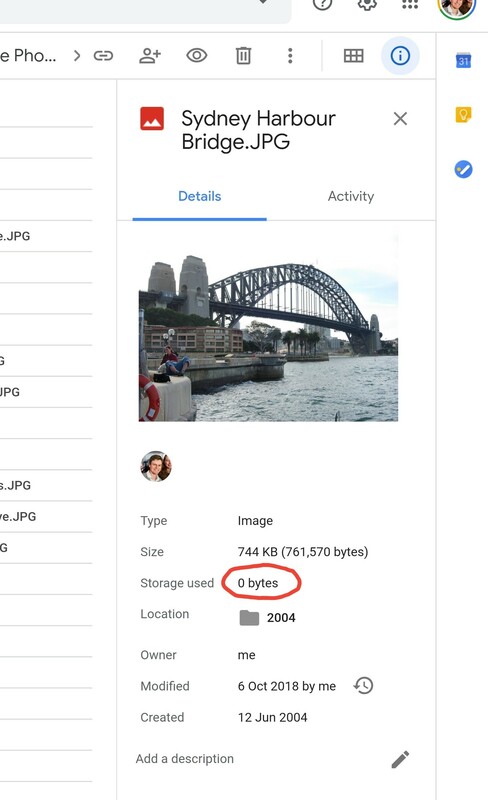 Will images that were uploaded directly to Google Photos' website count as part of Google Drive's quota? If you upload photos directly to Google Drive, they will count against your storage quota. If you upload in High quality using Google Photos or Backup and sync, it will not count against your storage quota. Not the answer you're looking for? Browse other questions tagged google-drive google-photos or ask your own question. Two-way sync with Google Photos? Google Backup&Sync and Photos - double quota hit? How to upload existing albums to new (2015) Google Photos? How do I know if a video is consuming space on Google Photos? How is Google reducing file size of my backed up photos when image stats are unchanged? Google Photos vs Google Drive: How do I find out which copy of my photos in my Google Account is the original?